With Bernard Madoff behind bars, investigators have their work cut out for them identifying who else may have been involved in his nearly $65 billion scam. As for how he helped sell his scam to victims, CBSNews.com's Kenneth Millstone writes, "According to charging documents, Madoff pitched investors a strategy he called 'split strike conversion' that involved investing in a basket of 35-50 stocks from the S&P 100 (the 100 largest publicly-traded companies in the United States). He promised to 'opportunistically time' his purchases and he said he was pulling out of the market occasionally and rolling the money into Treasury notes." Investors big and small were swindled, from Florida retirees to celebrities such as Steven Spielberg, actor Kevin Bacon and Hall of Fame pitcher Sandy Koufax. 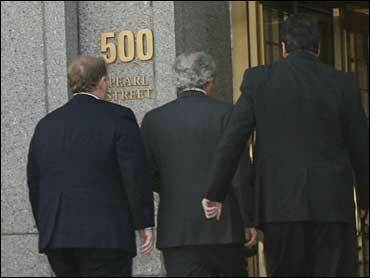 Many of Madoff's victims were Jews and Jewish charities, which trusted him because he is Jewish. Those cheated included Nobel Peace Prize winner and Holocaust survivor Elie Wiesel.